Get the most flexible solution available for dynamic advertising or a source of community information. LED electronic message centers are computerized, programmable signage designed to withstand the elements, like rain, snow, and even harsh sunlight. Electronic message centers store and display images and text messages that rotate or display for different durations of time, allowing you to change your message often—without the added cost of physically replacing sign parts, letters, or the cost of labor. From banking to restaurants and retail, our experienced team will recommend the outdoor LED message center for your needs. We offer unlimited color capacity, low energy consumption, and exceptional reliability, just to name a few of the benefits. Business signs are nothing new—they’ve been used for centuries. 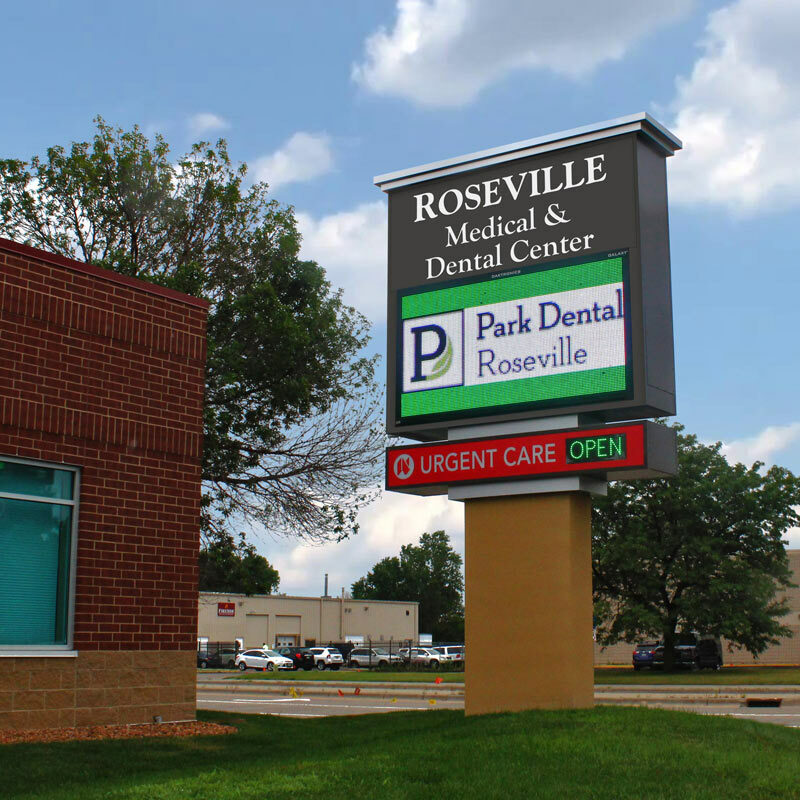 Custom business sign technology, however, has received an upgrade and the electronic message center has grown in popularity over the past few decades. 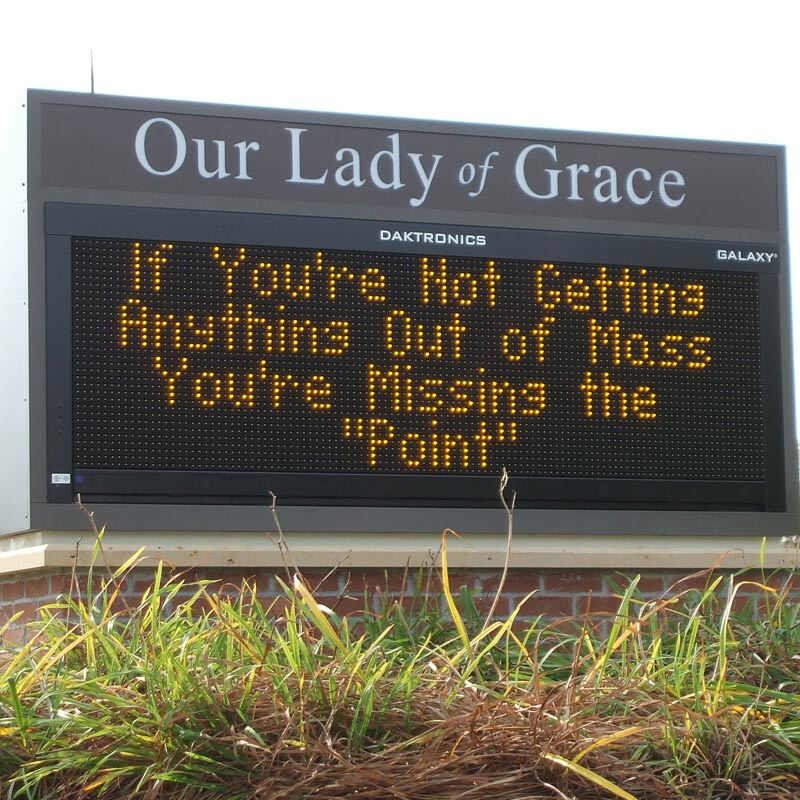 Electronic message centers utilize easy-to-use software that allows you to create a custom message to display for customers or your community. Outdoors, you can easily drum up impulse traffic and business, and placing an electronic message center indoors gives you the chance to provide a better experience for customers. 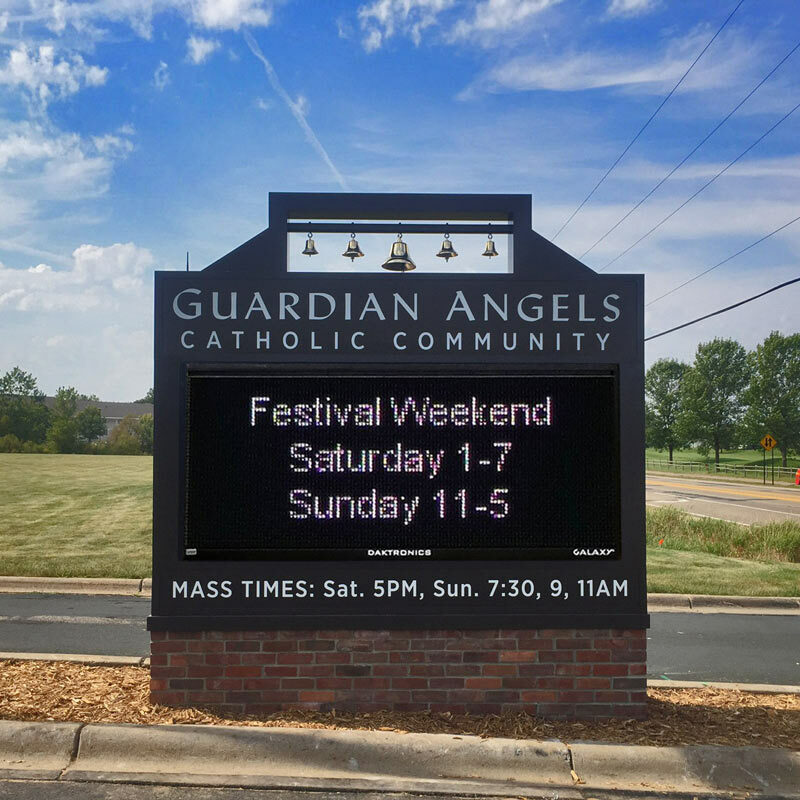 Incorporating vibrant LED displays and technology that’s becoming more and more advanced, electronic message centers are proving to be extremely effective forms of marketing for businesses or information centers for organizations like churches and banks. The added value of ultra-bright LEDS makes your signage visible even under intense sunlight, taking your message from day to night and back again. Electronic message centers on their own are incredibly effective, but the visual impact of combining them with a custom sign will give you the best results, no matter what industry you’re in. Think about it: your lighted sign displays your business name and branding, while your LED electronic message center showcases your sales, specials, or promotions that drive impulse business. Why not combine the two for an extremely effective and worthwhile investment? You get the added benefits of brand recognition combined with eye-catching and purchase-driving messages. We work with you to create customized sign featuring an electronic message center that will help you meet your goals. LED message centers are available in a wide range of sizes, and made with durable materials for either indoor or outdoor use. The vibrant and long-lasting LED lights not only save you money in the long-term, but they’re available in tri-color or full-color options, giving you the option to create customized messages with text, graphics, and animations. Spectrum Signs is no stranger to helping businesses communicate their messages with digital signs. Tell us what you're looking for, and we'll work with you to create custom signage to meet your specifications. We have you covered from inception to completion so that you can focus on what's important for your business or organization.